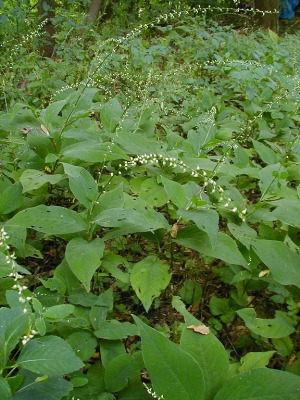 Polygonum virginianum of Michigan Flora. Swamps, rich forests, and moist hollows. When the fruit is mature, there is sufficient tension to propel it as much as 3 m when it is disturbed, whence the common name. Sometimes segregated in a separate genus as Antenoron virginianum (L.) Roberty & Vautier. MICHIGAN FLORA ONLINE. A. A. Reznicek, E. G. Voss, & B. S. Walters. February 2011. University of Michigan. Web. 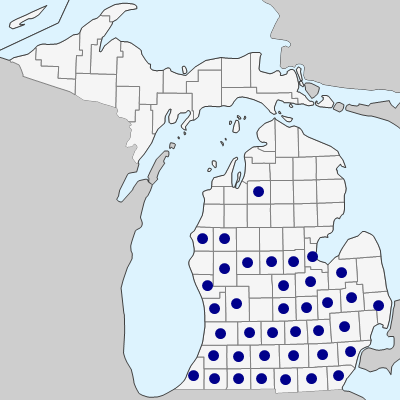 April 22, 2019. https://michiganflora.net/species.aspx?id=2292.